In the time of whopping digitalization where creativity lies at the top of UI designing, lending an edge to your project or website can be a challenging task. The design has become a core of web and digital assets like icon are most impactful in a project. As creative design world is moving faster, downloading icons has also become much easier than it used to be. Getting free and premium icons directly right into your project can make a huge impact. Icons are becoming popular in modern web and graphic design, and we realize their growing importance. So don’t waste your precious time browsing the Web for inspirations or materials. There are many digital marketplaces that offer thousands of free and premium icons and icon packs. To ease the burden of searching for icons, we have prepared an ultimate list of top 10 websites offering ready to use free and premium icons. In some websites, attribution is required to use free icons in your project. With 2,080 icons in 53 different categories, Iconsmind is one of the largest sources of all the best icons. Icons Mind is the most comprehensive solution to all your icon needs that are sharp and perfect for each pixel. Iconsmind offers 9 different formats for full flexibility with all different software, ready for android and ios applications and more. That will cover all of your project needs. Pricing: Iconsmind currently offering 2080 icons for $59 in two formats and same for $79 in many other formats. Iconscout is one of the fastest growing icon marketplaces. 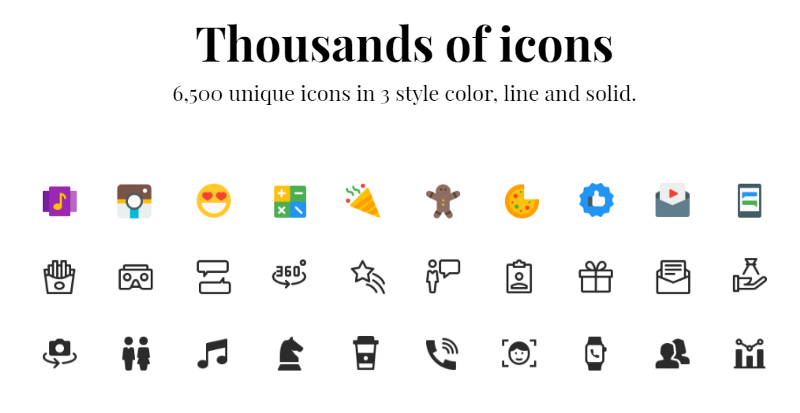 Iconscout offers 7,40,000+ free and premium icons, which includes different icon styles including Flat, Line, Solid, Filled-outline, Hand-drawn, etc. 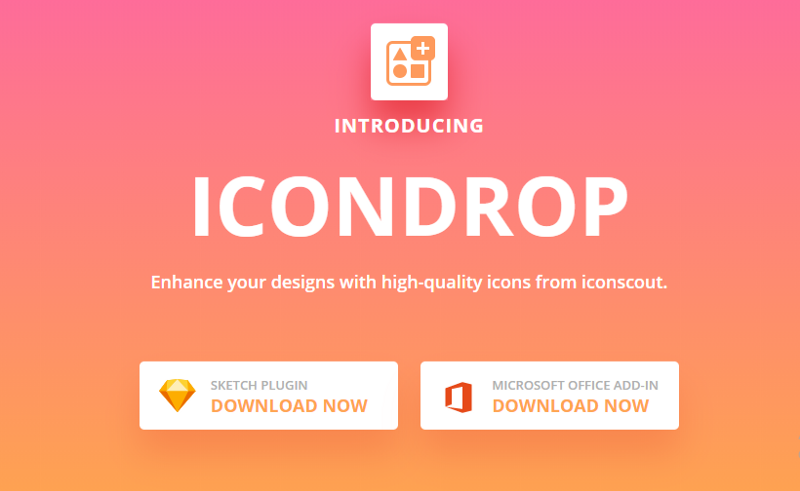 With Iconscout Free plugin for Sketch, Adobe Illustrator, Adobe Photoshop and Office tools, now you don’t need to download icons in your system. Just install the plugin and drag and drop icons inside your design environment. Pricing: With having thousands of icons for free, Iconscout has two major subscription plans. With over 2 Million icons, Iconfinder is the largest icon resource on the planet. Iconfinder has the backbone of 2300+ amazing designers around the world who are contributing their icons every day on this platform. Icon files are available in SVG, PNG, ICO, ICNS, and Adobe Illustrator formats, and dimensions range between 16×16 to 512×512. You can also work with some of the site’s best designers if you can’t find something you like or simply want custom icons designed especially for you and your brand. Icons54 has a collection of sharpest 5,000 pixel-perfect icons spanning more than 100 different categories. With 7 different file formats from EPS to Web Fonts, you can easily change up the size, color, and even details to suit your needs. Icon54 icons are in two styles — Line and Solid. Icon54 are having two licenses — Standard and Unlimited. With Unlimited icons, you’ll get lifetime updates. Pricing: Icon54 offers 5000 icons at $97 with lifetime icons Update. The Noun Project has largest icon library available on the web. The Noun Project offers icons in SVG and PNG formats and most of them are in black and white styles. “The Noun Project” was initiated by a group of designers in 2010. The site includes basically two types of downloadable icons. The first is “Creative Commons” where you must either give credit to the artist while using the symbol free or pay the artist and use it without attribution. Flaticon is the largest search engine of free icons in the world. Flaticon currently offering 7,20,000+ vector icons grouped in 13,718 packs. Flaticon offers high-quality icons which are totally editable and vectors are carefully selected by design team in order to provide great content that can be used in both personal and commercial projects. Used by some of the largest organizations like Adobe, Google, Awwwards, Sitepoint, Smashing Magazine, etc, Flaticon is known as the largest collection of free icons. Icons8 is single biggest icon packs on the planet with more than 62,000+ top notch premium icons. Icons arrive in an assortment of styles like Line, Glyph, Material, Color, and so forth. From iOS to Artificial Intelligence, Icons8 has every icon you need to quickly spin up a beautiful, scalable and branded design. Icons8 having Free as well as Unlimited plans. In Premium plan you can download icons in all formats, you can recolor the icon and linking to Icons8 is not required wherein Free plan, link to Icons8 is required. Pricing: Premium plans for $19.90/month. Roundicons offers 31,600 icons, which is the biggest premium icons bundle. Roundicons is the ultimate resource for unique handcrafted icons. Offering more than 31,000 icons in different styles and at a very affordable price. Roundicons is premium icon packs library made for apps, websites, infographics, and prints. Pricing: $99 for all the icons of Roundicons. Trusted by companies like Redbull, Wix, Cisco, Heroku, etc. Pixelicons is a collection of 6500-pixel perfect icons. Pixelicons comes in three style — Line, Solid and Color and formats like Iconjar, PDF, PSD, PNG, CSH and many more. If you are developing a great stuff but UI is not that good then its a big failure in this decade. and you as a developer, most probably don’t have any idea about creating own icons. so this icon marketplaces connects all great graphic designers and offers thousands of icons ready to use right into your project. we hope this list may help you out in finding best website to download free and premium icons.